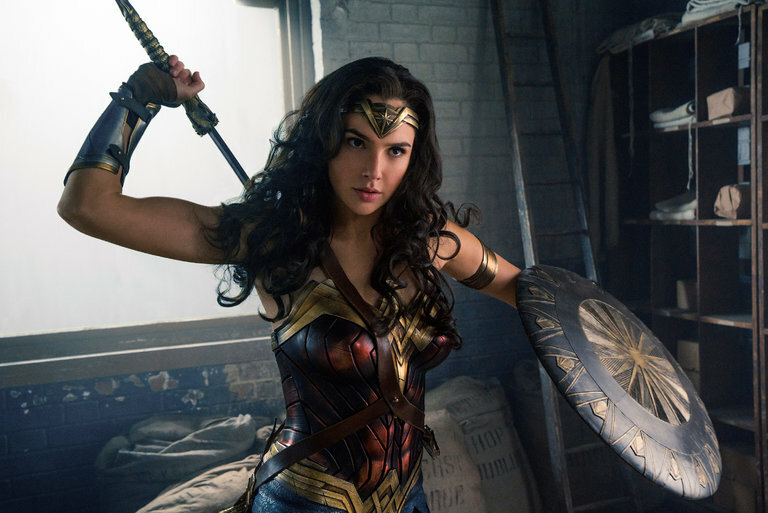 Gal Gadot in a scene from “Wonder Woman.” A study found that when female characters were removed from most movies, the plots didn’t change much. With “Wonder Woman” and “Girls Trip” riding a wave of critical and commercial success at the box office this summer, it can be tempting to think that diversity in Hollywood is on an upswing. But these high-profile examples are not a sign of greater representation in films over all. A new study from the University of Southern California’s Viterbi School of Engineering found that films were likely to contain fewer women and minority characters than white males, and when they did appear, these characters were portrayed in ways that reinforced stereotypes. And female characters, in particular, were generally less central to the plot. The study, conducted by the school’s Signal Analysis and Interpretation Lab, used artificial intelligence and machine learning to do a linguistic analysis of nearly 1,000 popular film scripts, mostly from the last several decades. Of the 7,000 characters studied, nearly 4,900 were men and just over 2,000 were women. And perhaps unsurprisingly, the male characters spoke far more than the female ones did, with 37,000 dialogues involving men and just 15,000 involving women. While previous studies examined how frequently characters of each gender spoke, the U.S.C. researchers went further by analyzing what was actually said. They found that the language used by female characters tended to be more positive, emotional and related to family values, while the language used by male characters was more closely linked to achievement. African-American characters were more likely to use swear words, and Latino characters were more apt to use words related to sexuality. Older characters, meanwhile, were more likely to discuss religion. The researchers also looked at the “centrality” of each character by mapping his or her relationship to others in the film. They found that in most cases, when a female character was removed from the narrative, the plot was not significantly disrupted — except for in horror movies, in which women are often portrayed as victims. A visualization of “Dead Poets Society,” left, and “Silence of the Lambs,” right, two of the films the researchers analyzed. The squares represent male characters and the circles represent female ones. The size and positioning of each node indicate how many lines each character had and how central he or she was to the plot. Shrikanth Narayanan, an engineering professor at U.S.C. and the senior author of the study, said the technology was particularly effective in revealing the unconscious biases that may be at play in the film industry. He said the data could help guide decisions throughout the creative process, from the way dialogue is written to how roles are cast.